Analysis related to USPACOM. Along with Asia-Pacific analysis. This article was originally published by the South Asia Analysis Group. It is republished here with the author’s permission. Read the article in its original form here. The IFR 2016 will indeed be a grand spectacle as more than one hundred ships from the navies of over fifty countries will participate in this exercise that is carried out every five years. The event, which in the initial years was mostly limited to the participation of ships from the Indian Navy, Indian Coast Guard and the merchant navy, has transformed in to an international event with a major maritime event conducted in 2001 under the initiative of then Chief of Naval Staff Admiral Susheel Kumar. The marching of the naval officers and sailors from ships around the world along the marine drive in Mumbai and the presence of ships from around the world signaled a new era in maritime diplomacy. The intentions of a maritime India to occupy center stage in both regional and global missions by using the Indian Navy as an instrument of national policy were explicit. Indian Navy carrier. Indian Navy photo. As the participants of the IFR witnessed scores of indigenous ships of the Indian Navy, it was evident that the Indian Navy was in the process of transforming from a buyer’s navy to a builder’s navy. The process was a prerequisite to assuming greater regional leadership role and responsibilities. This did not escape the attention of the participant nations and motivated them to engage with India at many levels. It is not to be forgotten that this initiative was taken under the leadership of Admiral Susheel Kumar, who succeeded Admiral Vishnu Bhagwat. Admiral Bhagwat was relieved of his duties as CNS on 30 December 1998 by the NDA Government under certain debatable circumstances. The Navy’s morale, which was dented, had to be built up brick by brick and the IFR of 2001 from that point of view provided a launching pad for the force that was fast becoming a blue water Navy. The theme ‘Bridges of Friendship’ was very well received and created an environment that facilitated the process of integration of a regional navy in to a global matrix. While both the Indian Navy and the Indian Coast Guard have conducted the Fleet Reviews on the east coast (The very first Indian Coast Guard Fleet Review by the Raksha Mantri was conducted off the east coast when the author was the Regional Commander of the Indian Coast Guard, Region East), this is the first time that an international fleet review of this scale is being conducted in the Bay of Bengal. By design, this also complements the ‘Look East’ policy of the Government of India. It also adds value to other maritime initiatives, such as the biannual Milan (established as an initiative for meeting of the naval minds in Port Blair) and the Indian Ocean Symposium (IONS), now a well-established forum among Navies of not just the Indian Ocean but also the rest of the world. Indian Navy maritime patrol craft. 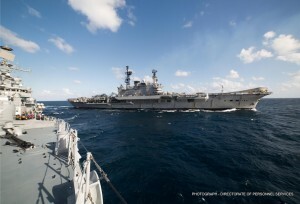 Indian Navy photo. By all expectations, China will be a first-time participant in the Indian Fleet Review. From the point of view of PLA-Navy, participation signals its intention to be a part of global initiatives in the Indian Ocean. The anti-piracy patrols by PLAN units, which are still underway off the coast of Somalia, provided ample opportunity for the Chinese Navy to assert its intention to be part of the international mechanisms to combat piracy. Both the Indian Navy and the Chinese Navy worked shoulder to shoulder in warding off this threat, though India was concerned about the presence of another extra regional player in its traditional back yard. The visit of the Chinese submarines both conventional and nuclear last year again caused ripples in Delhi. There are no doubts that India and China will jostle for power and influence in the Indian Ocean Region. While India does have geography on its side, the surplus funds that can be channeled for initiatives such as the Maritime Silk Road and the One Belt One Road will change the strategic landscape of Indian Ocean Region. The IFR also comes at a time when there are great initiatives being taken by China in Asia, Africa and Europe in terms of connectivity. The fact that the PRC plans to build a naval base in Djibouti and has huge investments in the maritime sector in Sri Lanka, the Maldives, Bangladesh, and Pakistan are of concern to India, which appears to have conceded strategic space to China in its areas of influence. 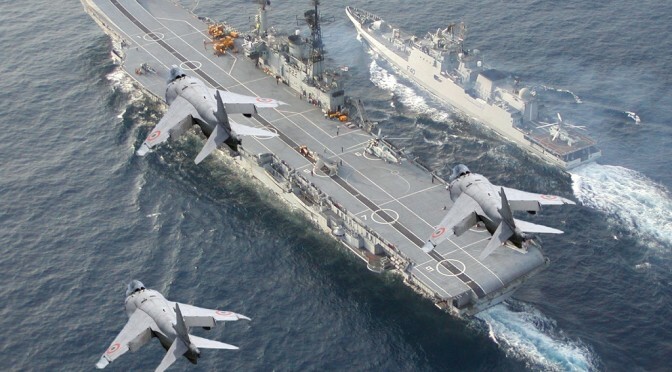 The presence of the INS Vikramaditya and India’s nuclear submarines would send a message to observers about the might of the Indian Navy that can be brought to bear as and when required in areas of interest. 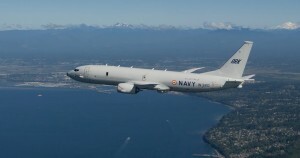 The presence of a P-8i surveillance aircraft could also generate interest in the capability of this newly acquired platform, capable of locating and tracking submarines and surface assets of extra-regional powers in the Indian Ocean. The message that the Indian Navy is net-centric warfare capable as a result of plenty of indigenous efforts would be very clear. The Indian Navy has inherited many of the traditions and practices from the Royal Indian Navy while adding its own local flavor. The President of India, by virtue of being the Supreme Commander of the Armed forces, reviews the fleet invariably before he or she demits office during the tenure of five years as the President. It is a mega-event by any standards, and even the state Government has committed more than 83 crores in beautifying the city of Vizag, which houses the Eastern Naval Command and important maintenance facilities of the Navy. It is also the base for the nuclear submarines of the Indian Navy, including strategic assets. All the arrangements have been reviewed at the level of the Raksha Mantri and the Navy and nation are geared up for this event in the first week of February that will showcase the prowess of the Indian Navy. A successful conclusion of the IFR will reinforce the position of the Indian Navy as a professional arm that can be used as a powerful instrument of national policy both in war and peace. Historically, the role of the Indian Navy after the spectacular missile attacks on ships and oil tank farms Karachi in 1971, with the then-only Asian carrier Vikrant enforcing a blockade off then East Pakistan indicates how it is important to possess and use a strong navy for furthering national objectives. The fact that the Indian Navy was not used at all during the war in 1965 therefore comes as a surprise. The role of the Indian Navy during the tsunami of 2004, its evacuation of Indian nationals from war torn areas, and its ability to relief and succor to the flood and cyclone affected victims on many occasions highlights strength of the Indian Navy that has proved its mettle. The Mumbai terror attack in November 2008 changed the way maritime threats were perceived and brought about a paradigm shift in the maritime security architecture (MSA). The Indian Navy was placed at the apex of the MSA and made responsible for both coastal and oceanic security. Without going into the details, suffice it to say that the entire gamut of maritime threats and response mechanisms have undergone a sea change. conclusions to the aspirations of a blue water navy that has both regional and global roles. However, the dwindling strength of conventional submarines has been a source of great concern to the planners in Delhi. There are some recent efforts to ensure that this serious deficiency is overcome both by accelerating the Scorpene production and also embarking on the indigenous production of project 75A submarines for which more than 60,000 crores has been earmarked. The shape and size of the Indian Navy is formidable as India moves in to the next century. With geography and a growing economy on its side, India’s Navy will continue to complement the ambitions of a maritime India. A powerful Navy will promote maritime safety and security in the Indian Ocean. As a guarantor of net security at sea, safeguarding the global commons, maritime interests, and the sea lines of communications that represent the life lines and arteries of global trade and commerce will be a top priority for the Indian Navy. India is conscious of the fact that there are rich dividends in forging strategic alliance with other like-minded nations on a case by case basis while retaining its strategic autonomy. The trilateral treaty with Sri Lanka and Maldives and Exercise Malabar or other such exercises are all measures to ensure that the maritime domain remains manageable and the Indian Navy is in a position to control the happenings in areas of interest. Maritime engagement with Mauritius, Seychelles, Mombasa, Oman, and other maritime nations are all significant in ensuring that there is seamless integration of the maritime domain, and that all the maritime nations in the region are under one umbrella and can work in unison to serve the interests of the century of the seas. The IFR will be a keenly watched event around the world and the navies who are part of this Indian initiative will carry back cherished memories from this mega-event. From the point of view of the Indian Navy, it will again provide an opportunity to take the initiative from “Building Bridges of Friendship” in 2001 to an architecture that is “United through Oceans” in 2016 and beyond. The sea is a vital venue for trade and national security, and also holds the key to understanding much of our past. From the dispute over the South China Sea, to the protection of sea graves such as HMS Prince of Wales and HMS Repulse, maritime archaeology matters. Sarah Ward, a maritime archaeologist, diver, and outreach specialist, who works for ArchaeoMar Australasia (a cultural heritage practice based in Sydney Australia) and has her own blog, has kindly agreed to tell CIMSEC a bit more about her work. Ward: As a child I had a fascination with the sea. I grew up on my parent’s boat, diving and exploring the shipwrecks of Tangalooma Island (near Brisbane, Australia). I was obsessed with Jacques Cousteau and when not splashing about in the water, would spend hours poring over his books and films. Then having worked in finance for a number of years, and with an MBA under my belt, I decided that life was too short and it was time that I did what I loved. A water baby with a passion for the past, I eventually abandoned my desk job, took the plunge and proved that it is possible to turn your passion into a challenging and rewarding career. CIMSEC: What kind of training is needed for this job? What are the main skills required? Ward: To become a maritime archaeologist, you would generally need to complete an undergraduate degree in archaeology, followed by a masters degree in maritime archaeology. You might also like to complete studies in the time period or geographic region you are interested in e.g. Roman History or Asian studies, and, if you wish to teach at tertiary level, a relevant PhD. If you wish to work underwater (which not all maritime archaeologists do), this will need to be topped off with commercial diving certification (e.g. from the HSE in the UK or ADAS in Australia). With regard to the core skills of a maritime archaeologist, these fall into three main areas: intellectual, practical, and administrative. a sound understanding of the ethical considerations and applications and an ability to understand and respond to the context in which archaeological work is conducted. an understanding of a broader scientific methods. If you would like more details on the skills required, I led a study on benchmarking competency in maritime archaeology for the NAS a number of years ago; the study is online here. CIMSEC: How does maritime archaeology differ from the more traditional, land-based variety? Ward: The intellectual requirements are the same, however there are two key differences: the theme of study (human relationship with the sea); and the environment in which we work (intertidal zone or underwater). The environment brings its own challenges as the the tools, techniques, equipment and training required when working underwater, for example, can vary substantially to that employed on land. 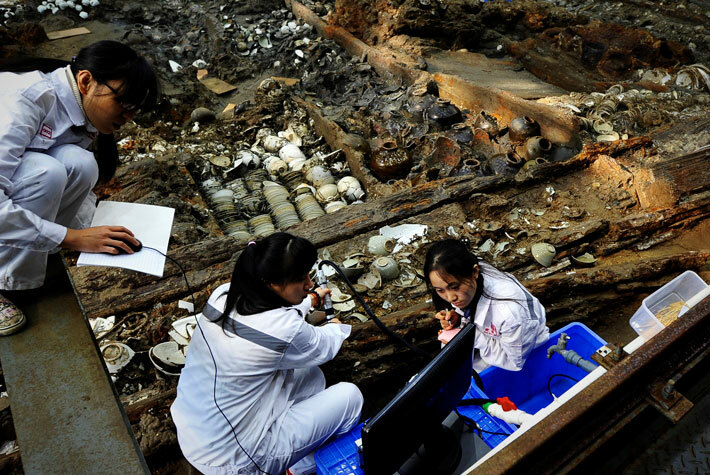 Ward: My current research work is focused on the maritime archaeology of China, the maritime silk route and the early Ming Navy, notably the voyages of Zheng He and the resulting connections with Africa. I’m currently investigating evidence suggesting that one of the Zheng He fleet wrecked on the East African coast. This is significant as it could be the first vessel relating to the voyages that has been found. If so, it would give us an incredible insight into the expansionist Ming maritime policy and today’s parallels. 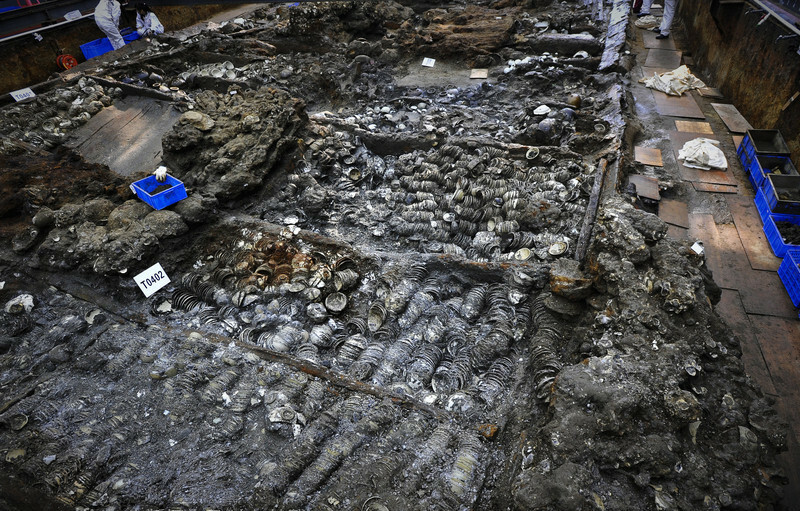 Nanhai1 excavation. Maritime Silk Road Museum of Guangdong and the Peoples Republic of China. CIMSEC: What is your favorite past project and why? Excavation of the Scottish settlement of the Isthmus of Panama, the failure of which lead to the Union of the Crown in 1707. CIMSEC: The dispute over the South China Sea has seen some claimants use archaeological evidence to support their claims. Is there a danger of the discipline being politicized? Could this result in restrictions on archaeological work? Ward: The South China Sea dispute is an interesting situation. China claims sovereignty over almost 90% of the South China Sea, and has done since ancient times. To an extent, this claim is made on the basis that way back in China’s first dynasty, the Xia (c. 2070 – c. 1600 BC), China was apparently the first state to discover, name, explore, and exploit the contested Spratly (Nansha) and Paracel (Xisha) Islands. 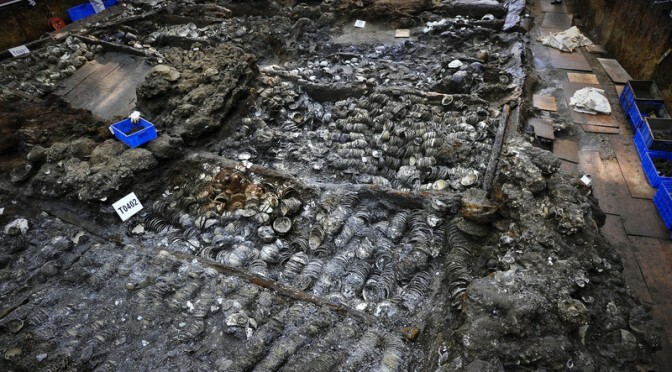 This claim is based more on historical, rather than legal grounds, and China is looking to the past to create a future – to the Han ceramics found on Taiping Island, Nanhai 1 off Hainan 20 nm off Dongping, the 200 submerged prehistoric sites identified between the Spratly and Paracel Islands, and to early maps and documents which support historic Chinese ownership. Coins from Nanhai 1. Maritime Silk Road Museum of Guangdong and the Peoples Republic of China. For China, this is a nation-building exercise. It’s also not the first time archaeology has been put to overt political use. In 1914, Leonard Woolley and Thomas (TE) Lawrence provided archaeological camouflage for a British military survey of the Turkish-controlled Sinai Peninsula. During World War I, Sylvanus Morley used his investigations of Mayan sites in the Yucatán as a cover to negotiate with rebel Mayan leaders for their support of U.S. interests. Archaeology often reveals a contested space, a battleground for struggles over economic gain, heritage, and identity, and its practice often carries with it profound political implication. 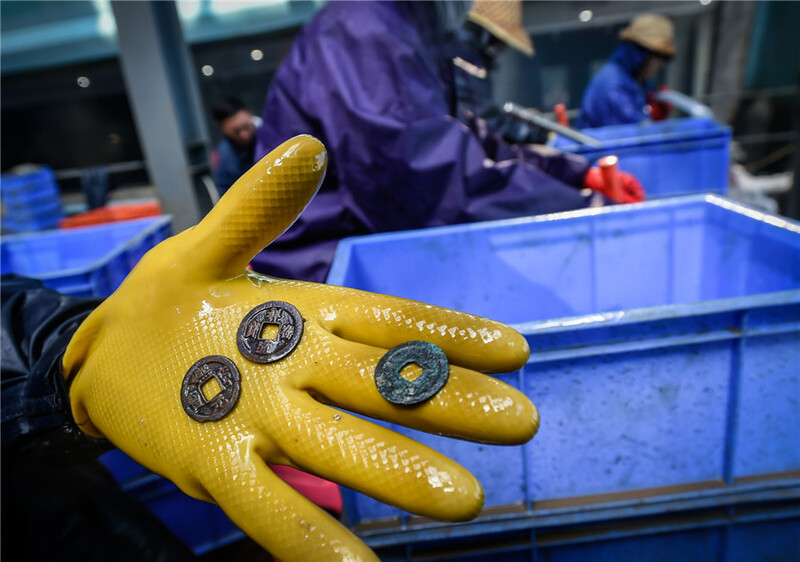 In China’s case, it can and has resulted in restrictions on archaeological work, such as when a French team working on a Chinese shipwreck off the Philippine coast was turned back by the Chinese on the basis of their sovereign claims. CIMSEC: On the other hand, could international cooperation in maritime archaeology be part of confidence-building measures in disputed sea areas? Ward: Absolutely. Confidence is the result of a dynamic process, based on past experiences, present perceptions, and future expectations, and affected by a multitude of elements. As confidence is especially sensitive to the behaviour of States, cooperation in maritime archaeology, which is a tenant of the UNESCO 2001 Convention, would be an excellent confidence-building measure. China, Vietnam, Taiwan, Philippines, and Malaysia have a mutual, shared maritime heritage and our appreciation of the past determines how we shape our future. A shared heritage not only reminds us of our collective identity and cultural diversity, it also nurtures social belonging, promotes economies amongst local communities, and it deepens mutual understanding of each other’s values, histories, and traditions. Ward: Yes, quite often. In the past, for example, I’ve worked with the Australian Centre for Field Robotics at the University of Sydney to carry out a high-resolution shipwreck survey in deep water using Sirius, an autonomous underwater vehicle (AUV). The submersible is equipped with a full suite of oceanographic instruments, including a high-resolution stereo camera pair and strobes, a multibeam sonar, depth and conductivity/temperature sensors, Doppler Velocity Log (DVL) including a compass with integrated roll and pitch sensors, Ultra Short Baseline Acoustic Positioning System (USBL), and forward looking obstacle avoidance sonar. The result is effectively a 3D map of the shipwreck site to millimetric accuracy. Nanhai-Shipwreck. Maritime Silk Road Museum of Guangdong and the Peoples Republic of China. This technology allows us to locate, identify and survey submerged sites with greater accuracy than ever before, in smaller timeframes, in deep water and other environments not previously accessible to divers. The result is high quality, often real time data that can be used for interpretation, education, dissemination, and site monitoring in new and exciting ways. CIMSEC: What is the best approach to protect sea graves? How to combine our thirst for knowledge about our past with the necessary respect for those who fell at sea? Ward.- War graves at sea is a very sensitive issue, and one on which an international consensus has not been reached – in spite of the Geneva Conventions, their additional protocols, and international humanitarian law. The treatment of human remains in maritime museums was discussed at the ICMM in Hong Kong recently and there were as many opinions on what is appropriate, as there were people in the room. The same diversity of opinion applies to war graves at sea. In the UK for example, the Protection of Military Remains Act 1986 protects human remains associated with the remains of military aircraft and vessels that have crashed, sunk or been stranded, from unauthorised interference. Australia on the other hand, has no such legislation. Personally, I believe that the best approach is protection via the UNESCO Convention on the Protection of Underwater Cultural Heritage 2001. Underwater cultural heritage means all traces of human existence (including human remains) having a cultural, historical or archaeological character, which have been partially or totally under water, periodically or continuously, for at least 100 years. It also provides a detailed State cooperation system; widely recognized practical rules for the treatment and research of underwater cultural heritage; and for public access to sites up to the point where it becomes detrimental to the site. With regard to war graves, first and foremost, the personal dignity of the deceased must be safeguarded, as must the relatives’ right to know the fate of their next of kin. Mechanisms must also be established for relatives to access the burial place and for their interest in recovering the dead to be registered. 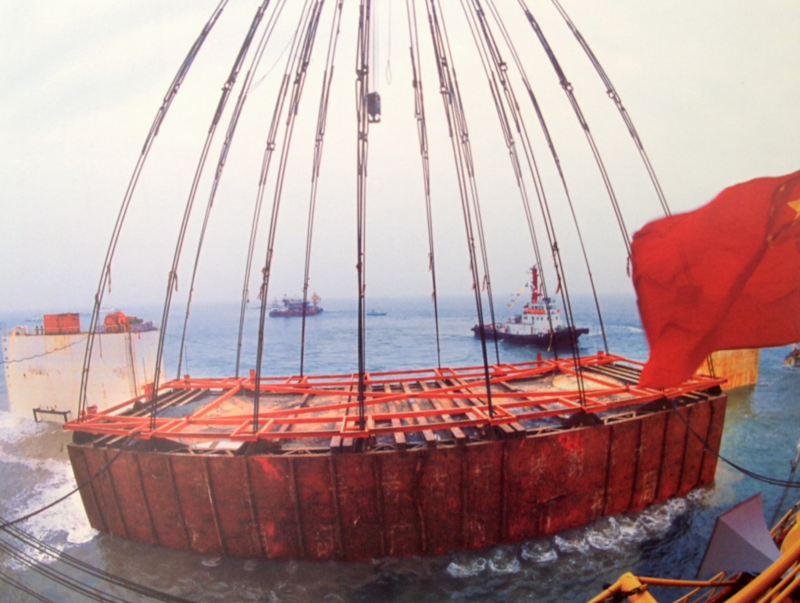 Lifting items from Nanhai 1. Maritime Silk Road Museum of Guangdong and the Peoples Republic of China. CIMSEC: You have recently attended the International Congress of Maritime Museums (ICMM) in Hong Kong, could you tell us about the work of this organization? What were the highlights of the congress? Ward.- ICMM was an absolutely fantastic event an one which I thoroughly enjoyed. To give you some background, ICMM is a biennial congress attended by maritime archaeologists, maritime museum directors, and related maritime professionals from around the world. The aim of the congress is for delegates to network, share expertise and resources, and to learn about the international best practices in the capacity of maritime museum operations and management, and it certainly achieved that. This was both the first ICMM in Asia and quite possibly the best conference I have ever attended. Our friends at the Hong Kong Maritime Museum really know how to put on a good show! The two keynotes − Lincoln Paine, author of the acclaimed Sea and Civilization, and Fred Kenny, Director External and Legal Affairs at the IMO − were excellent. As were the presentations by my old friends and mentors, Fred Hocker, Director of Research at the Vasa Museum, and Christopher Dobbs, Head of Maritime Archaeology and Interpretation at the Mary Rose Museum. The excursions to The Peak, Tai O, Jao Tsung-I Academy, Hong Kong Museum of History, and Macau Maritime Museum were all enlightening, but for me the real treat was meeting new friends from China, and to hear about the incredible work being undertaken at both the China Maritime Museum and visiting the Nanhai 1 Song Dynasty shipwreck at the Maritime Silk Road Museum of Guandgong. Fascinating! Sarah Ward is a maritime archaeologist, diver, and outreach specialist. She works for ArchaeoMar Australasia (a cultural heritage practice based in Sydney Australia) and is a regular blogger and tweeter. Alex Calvo is a guest professor at Nagoya University (Japan) focusing on security and defence policy, international law, and military history in the Indian-Pacific Ocean. Region. A member of the Center for International Maritime Security (CIMSEC) and Taiwan’s South China Sea Think-Tank, he is currently writing a book about Asia’s role and contribution to the Allied victory in the Great War. He tweets @Alex__Calvo and his work can be found here.. This publication originally featured at the National Maritime Foundation, and was republished with permission. It can be found in its original form here. 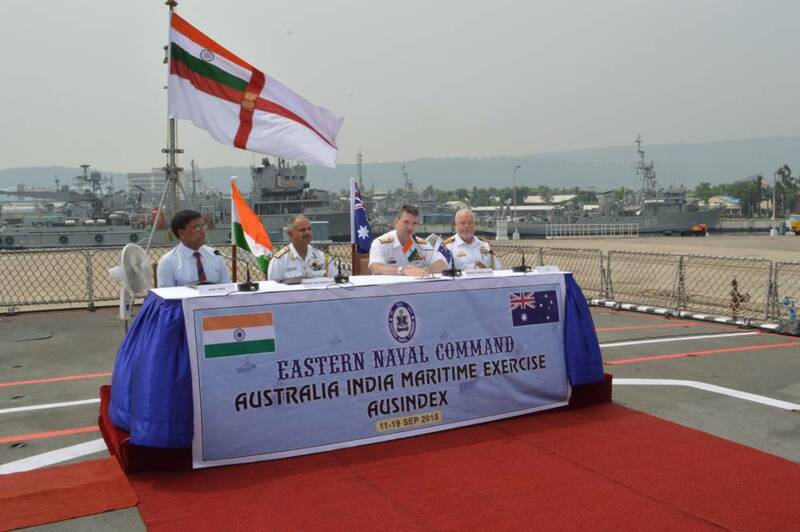 In mid-September 2015, Australia and India held their first-ever bilateral naval exercise, AUSINDEX-2015. 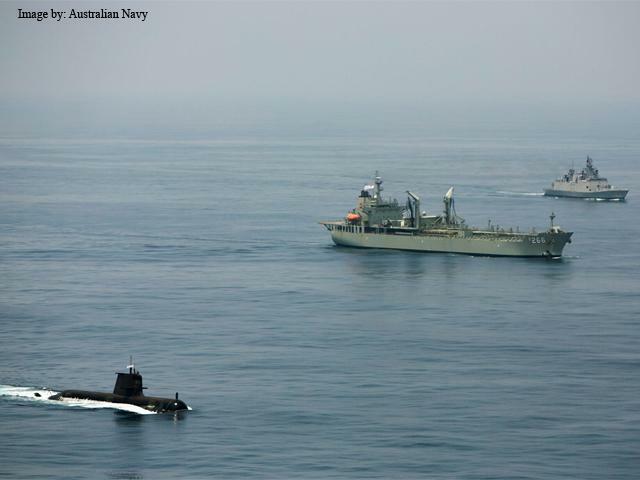 The week-long exercise was held in the Bay of Bengal, and involved five warships, an Australian submarine and two long-range anti-submarine aircraft (Australian P3C and Indian P8I). A “pronounced emphasis” of the exercise was on anti-submarine warfare (ASW). Beyond merely being ‘just another combined exercise’, it bears a far-reaching import, and highlights Australia’s national-strategic reorientation in recent years. Until a few years ago, it was commonly said that ‘Australia and India are divided by the Indian Ocean’, which had an element of truth. Traditionally, Australia’s national security strategy has been characterised by a combination of a ‘maritime citadel’ and ‘Pacific-oriented’ approach. The former is best exemplified by Australia’s promulgation of a 1,000 nautical-mile ‘Maritime Identification Zone’ (MIZ) in 2004. While such an approach was considered necessary for Canberra to counter the seaward incursions by foreigners, it led to a perception of Australia’s ‘exclusivity’. The Pacific-oriented prong of Australia’s approach entailed its strategic focus towards the southwest Pacific, where the island countries have been prone to political instability. Such instability could spill-over into Australia in various forms, thereby impinging on its national security. Notably, most of Australia’s developed cities lie on the eastern side facing the southwest Pacific, making it highly vulnerable to destabilising events in its eastern maritime neighbourhood. 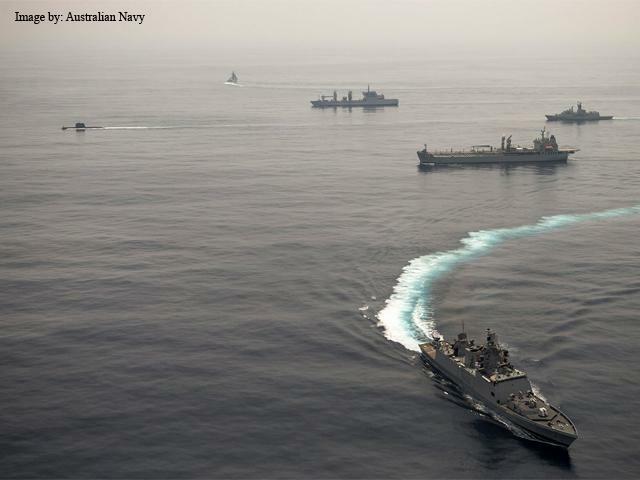 Australian defence forces have often contributed to coalition operations in the western end of the Indian Ocean, such as in Afghanistan and the Gulf of Aden (counter-piracy). However, these were driven by Australia’s need to fulfill its alliances and international commitments, rather than being ‘directly’ linked to its security interests. In the past, Australia’s traditional approach may have been adequate to secure its national security interests. However, Canberra seems to have realised that the emerging regional environment has made it unviable in present times. An inward-looking strategic orientation has also been unhelpful for Australia to develop multifaceted engagements with the Asian countries, including in terms of responding to the vulnerabilities of the maritime realm and strengthening trade ties. In particular, Australia needs to expand its maritime security perimeter to be able to achieve situational awareness in distant waters, besides ‘influencing’ and ‘managing’ developments therein. For Australia, whose strategic orientation has traditionally been encapsulated in the concept of Asia-Pacific, its re-orientation towards the Indian Ocean is relatively recent, and is evidenced in the conceptualisation of the “Indo-Pacific” region in its National Security Strategy (January 2013) and Defence White Paper (May 2013). Although the term ‘Indo-Pacific’ as often appeared as a geographic entity in the lexicon of Australian policymakers and analysts in the past, its formal articulation as a “new strategic construct” appears for the first time in these documents of 2013. Notwithstanding its sensitivities stroked by the Indian nuclear tests of 1998, Australia could not keep itself estranged from India for long. Naval cooperation was a natural choice to begin the engagement; in 2003, Australia began its participation in the Indian Navy’s biennial Milan (congregation) of regional navies at Port Blair. 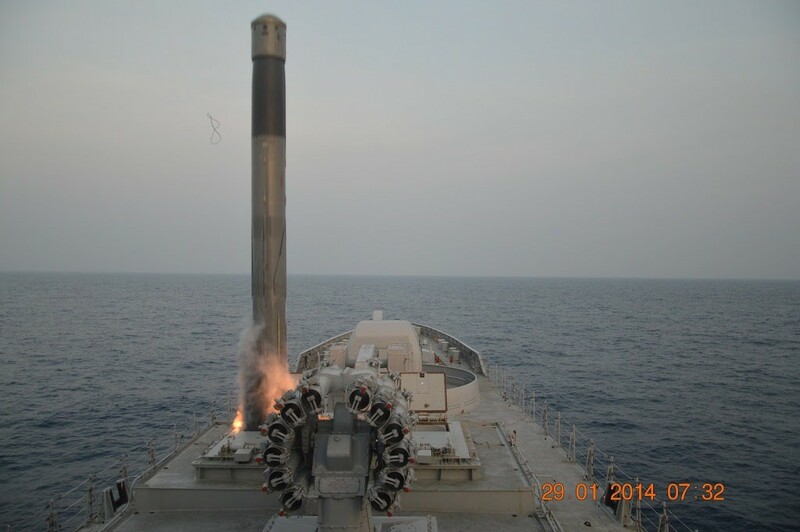 It also participated in the five-nation Malabar-2007 exercise in the Bay of Bengal, which caused worries in China. In the following years, India sent observers to the Australia-hosted Dugong (2009) and Kakadu (2010) naval exercises. Australia’s quest to involve India in its growing maritime engagement with the Indian Ocean countries is clearly discernible. These include Australia’s increasing involvement in the emerging discourse on maritime security under the aegis of the ‘Indian Ocean Rim Association’ (IORA) and the ‘Indian Ocean Naval Symposium’ (IONS), and the Track 1.5 Australia-India-Indonesia trilateral dialogue on the Indian Ocean (TDIO). Australia and India have already established an information-sharing mechanism on ‘white shipping.’ By contributing to Maritime Domain Awareness (MDA) and Search and Rescue (SAR), India could mitigate Australia’s primary concern of illegal immigration across the Indian Ocean. Although Canberra has been troubled since long by migrants from Southeast Asia, in more recent times, Sri Lankan Tamils and Rohingyas have also been trying to migrate to Australia in large numbers. Undeniably, Australia is seeking partners in the Indo-Pacific region to ride the crest of ‘rising Asia.’ The salience of China is an economic powerhouse of the world is not lost to Australia. Hence, notwithstanding its alliance with the United States and its wariness about the rapid growth and disposition of China’s military power, relations with Beijing will be important to Australia. Nevertheless, it is instructive to note that Australia’s 2013 National Security Strategy calls China “our key economic partner”, whereas it calls India “our Strategic Partner.” The essence is that as Australia develops its economic ties with China , it needs India and other regional powers as a hedge against possible scenarios involving China that could be inimical to its national security interests. Ostensibly, the need to build strategic deterrence against China is a major driver for Australia’s keenness to join the Malabar-2015 naval exercise involving India, Japan and the US. The PLA Navy’s submarine visits to Colombo (September-October 2014) and Karachi (March-May 2015) are likely to increase in future, and involve nuclear submarines. Neither Canberra nor New Delhi draws comfort from unannounced forays of such stealth platforms in their maritime zones. For India, a partnership with Australia could check China’s possible politico-military assertiveness in the Indian Ocean. Notwithstanding, New Delhi will need to be cautious in any partnership with Canberra involving other major powers, so as not to send misleading signals to Beijing, for instance, on the prospects of ‘Asian-NATO’ that emerged during Malabar 2007. For Delhi, therefore, the biennial AUSINDEX was a deft move to engage with Australia bilaterally, rather than under the multi-nation format of Malabar. 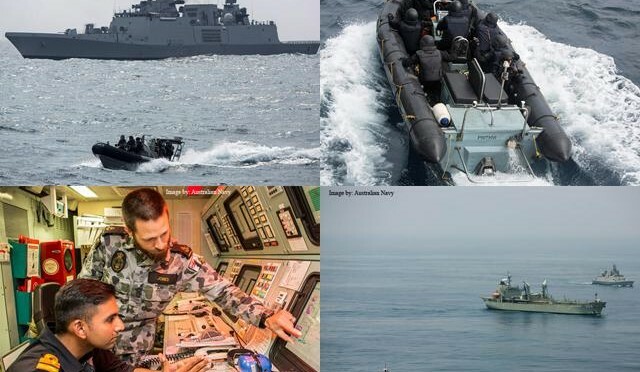 While AUSINDEX-2015 as a seminal event does not by itself herald the evolution of Australia’s strategic reorientation, it does portent to be a bellwether for its enhanced maritime security cooperation with India. Possibly, in the coming years, the Indian Ocean will be more of a ‘bridge’ rather than a ‘barrier’ between Australia and India. In modern parlance, winning without fighting is accomplished in Phases 0 and 1 of a campaign. 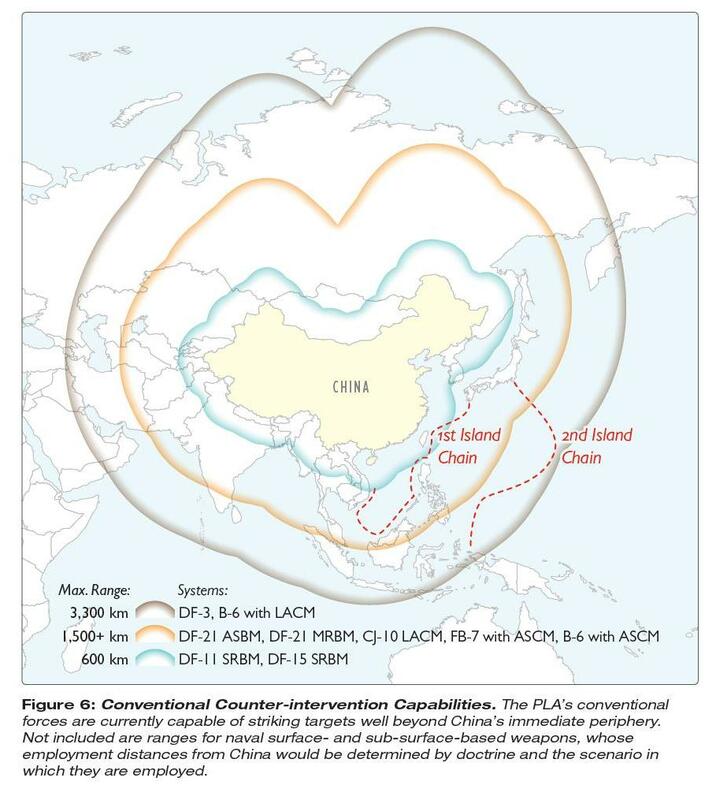 China is seeking to achieve a Phase 0-1 victory in the Pacific through its acquisition / deployment of Anti-Access Area Denial (A2AD) weaponry and economic / military coercion of its peripheral neighbors. When the two are coupled, US operational and diplomatic freedom of maneuver becomes severely constrained, and decisive counter-strategy is required. resolve and intent, but does little to shape the environment, and deter the near peer competitor. It plays like a precipitated withdraw and ceding of the South China Sea to China—a stunning admission that there is seemingly little that the US can do when faced with the Chinese dominated political-economic landscape on one hand and a potential naval – air war of attrition on the other. The potential Chinese A2AD environment is particularly daunting for the US Pacific Fleet. Chinese forces could elect to deploy their anti-surface / land attack ballistic and cruise missiles to keep American carriers outside of the 9-Dash Line; disable reconnaissance satellites; jam communications necessary for secure / centralized command & control; threaten to overwhelm remaining forces with vast numbers of aircraft while using the majority of their ships and submarines to counter the US asymmetric advantage in undersea warfare. 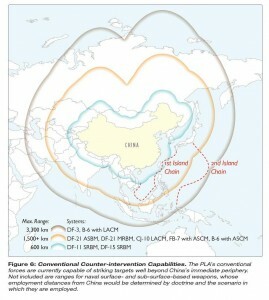 By asymmetrically threatening American Navy “kill chains”, and especially by holding its naval center of gravity—the CVNs—at risk, the Chinese can effectively turn the American critical strength into a critical vulnerability. The US cannot afford to lose even one CVN and thus when confronted with the threat of a paralyzing strike against its Pacific CVNs followed by an attrition war, it is prudent to assume that the US would not risk the losses and would exit the battlespace. A potential de-facto Chinese victory in Phases 0-2 could thus be achieved without a decisive Mahanian sea battle–just a credible threat. Solution sets to countering Chinese A2AD Phase O-2 victory are under development from multiple sources—US Naval Surface Forces (Distributed Lethality); Marine Corps Combat Development Command (Distributed STOVL [F-35B] Operations); US Marine Corps Advanced Studies Program (Engagement Pull). All have one thing in common: strategic distribution of mobile offensive power to hold China’s freedom of maneuver in the South China Sea at risk, and inhibit their sea control over key sea lines of communication (SLOC). These solution sets represent a significant evolution in the strategic thought surrounding the US pivot to the Pacific: attacking China’s strategy vs countering its individual asymmetric capabilities. To this list I would add tactical level cyber capabilities. Forces engaged in these missions will likely operate in near proximity to each other and in joint / combined operations, as the American, Australian, New Zealand and British sea, air and land forces of Guadalcanal did. They will be required to pose sufficient threat to Chinese forces without significant reinforcement due to anticipated Chinese A2AD. The inter-complexity of their likely combined Sea, Cyber, Air, Ground operations dictates that their task force command and control should not be ad-hoc, but must be defined well in advance to allow for the emergence, experimentation and exercising of command knowledge, skills, abilities and tactics / doctrine. US and allied lack of exercising joint/ combined, multi-domain operations prior to Guadalcanal led to tactics and command and control (C2) doctrine being written in blood. This lack of foresight should not be repeated. 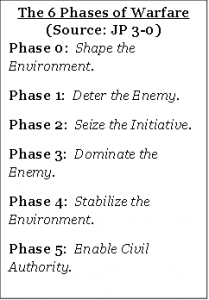 A SCAGTF construct allows for the US to shape the environment with its allies, deter the [Chinese], and if necessary to seize the initiative, buying time for the massing of forces to dominate the battlespace. The SCAGTF is one way to integrate the great ideas of our best strategists on distributed maritime operations into a single, flexible organizational structure that is capable of mobile, simultaneous combined / joint multi-domain operations in all phases of warfare. Such a force could aid the US in reversing its Pacific fortunes, in reinforcing multilateral peace and security for the region, and ultimately in realizing Sun Tzu’s bloodless victory. Nicolas di Leonardo is a graduate student of the US Naval War College. 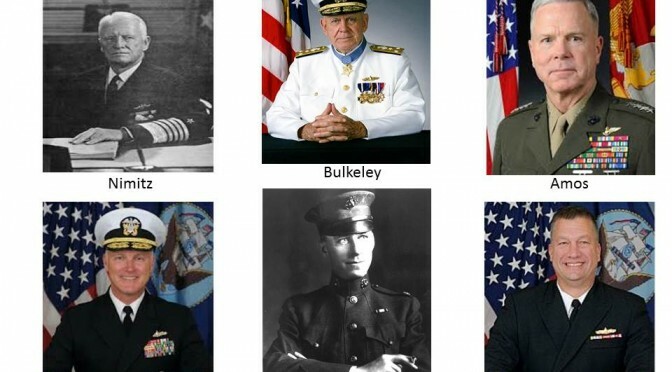 The views expressed here are his own and do not necessarily reflect those of the War College or the United States Navy.